We’ve built most of our business on referrals, and we’re proud of that. 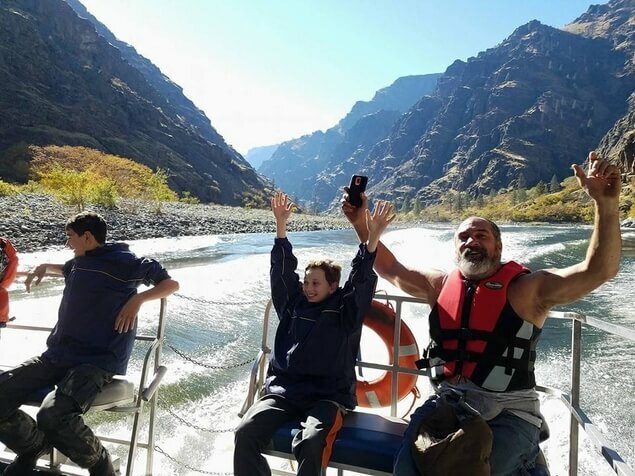 We know that for many people, Hells Canyon is a once-in-a-lifetime bucket list trip — our job is to make every moment count. Once you step onto one of our jet boats or rafts, you’re truly in the wild. 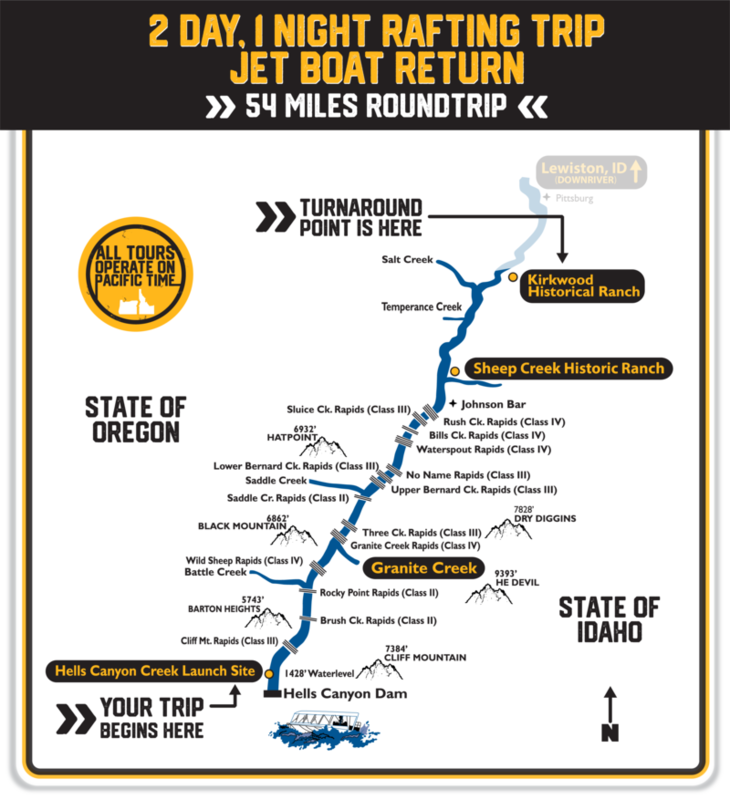 Preparation is key to a great, fulfilling Hells Canyon experience. The water. You can expect to encounter all classes of rapids, from wavy Class I to heart-pounding Class V. You can expect to get wet on both our rafts and jet boats. We’ll do our best to keep you dry if the weather is cold. Meals. We serve family-style meals at one of our favorite spots in Hells Canyon. Our house-made, fresh food can be made to accommodate specific dietary needs. Tell us about your restrictions while booking. Weather. Hells Canyon earns its name: You can experience all four seasons, including extreme heat or cold, in a short period of time. The weather can change quickly in Hells Canyon. We recommend you bring layers to cover unexpected temperature swings. Swim stops included in July and August. Dress accordingly. Limited services available in Hells Canyon – Have a full tank of gas, snacks/drinks in your car, minimal cell phone service. 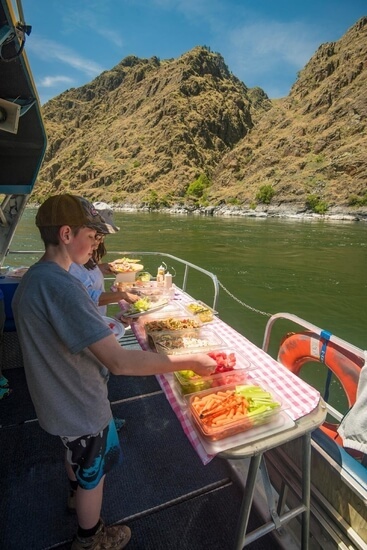 We’re the only company that offers this short, sweet taste of the best of Hells Canyon: We cut through the deepest portion of the canyon in only 16 miles. Leave your obligations and social media feed behind and enjoy reconnecting with the wild. You’ll experience whitewater, historical sites, and even have a chance to swim in July and August. Lunch included. This adventure is perfect for history buffs and thrill seekers alike. 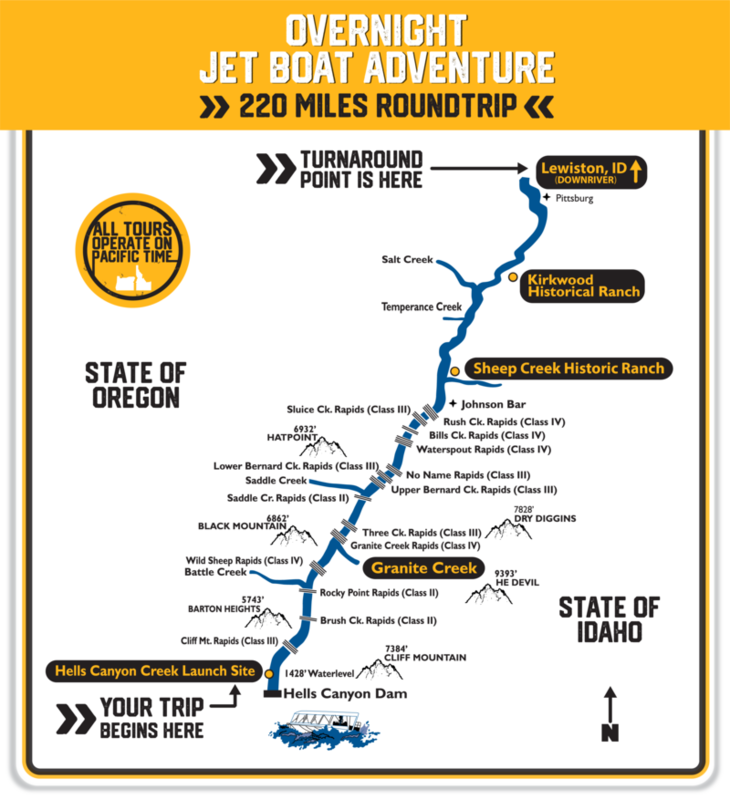 Enjoy every swell and drop as we jet through the first 18 miles of the Wild River Section of the Snake River. Marvel at the huge, jutting cliffs and impressive scenery — don’t forget to bring your camera! You’ll also get the opportunity to explore the Sheep Creek Historic Ranch, a homestead that flourished in the early years of the 20th century. Snack, Water/Lemonade included. 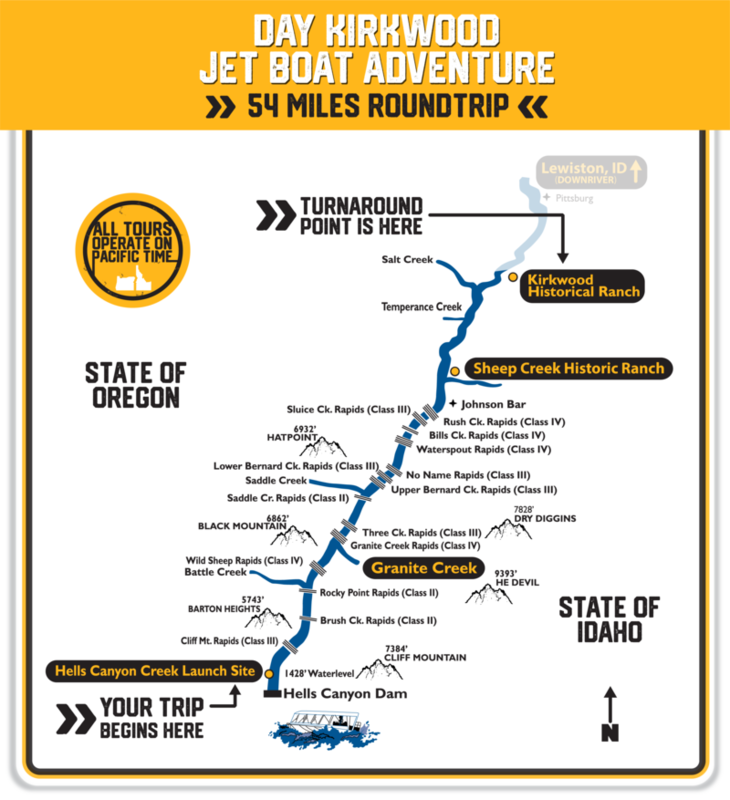 This adventure through the Wild River Section features the biggest rapids on the river, the deepest depths of the canyon, and the most jaw-dropping scenery transitions throughout — you can expect to see rock walls, desert grasslands, and alpine forests on the same trip. Listen to our captains as they regale you with stories about the early Native Americans who inhabited this area and the ranching families that called Hells Canyon home. 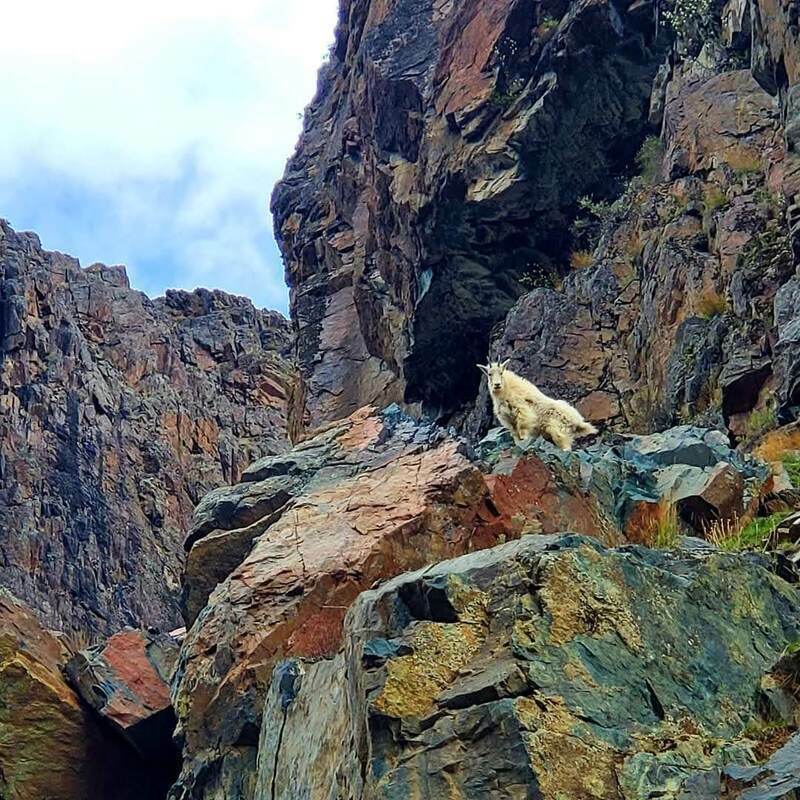 Keep your eyes open for wildlife such as bald eagles, black bears, and bighorn sheep. Lunch included. Hells Canyon is the deepest gorge in North America, and at the bottom of it roils some of the biggest whitewater in Idaho. During your one-day rafting adventure, you’ll admire the spectacular scenery of this wild canyon while learning about the history of the area. Our seasoned guides will help you experience this part of the West (and serve up a fine lunch, too). 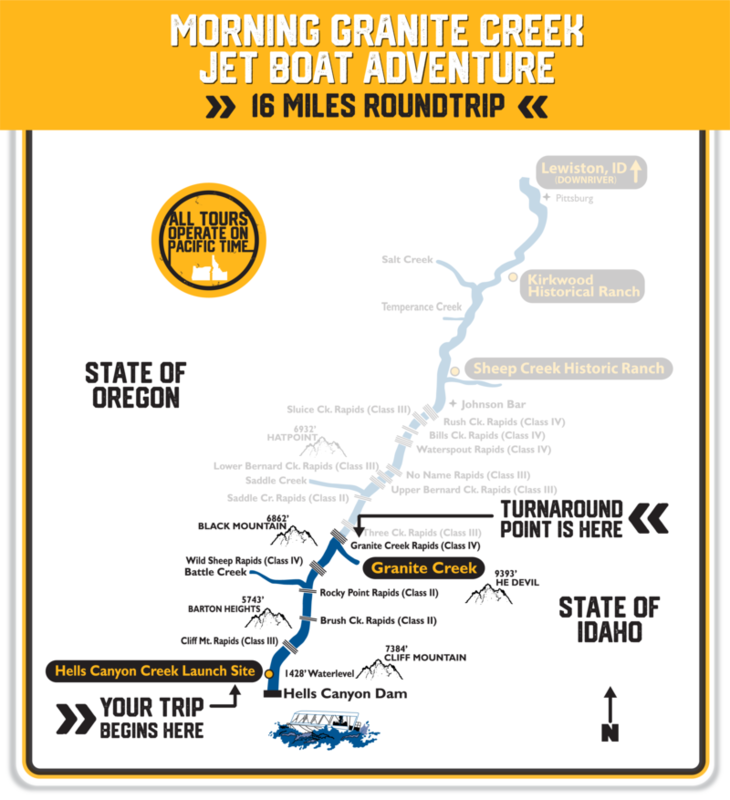 Want to explore the entire river canyon? This trip is for you. You’ll see the mouths of three separate rivers, traverse through three states, pass by active ranches, view historic mines — and, of course, thrill at every last whitewater rapid! Most companies pack this adventure into one day, but we offer it for the same price as a one-day adventure so we can share the best of the canyon with you. This trip offers the best of both worlds: Rafting and jet boating! 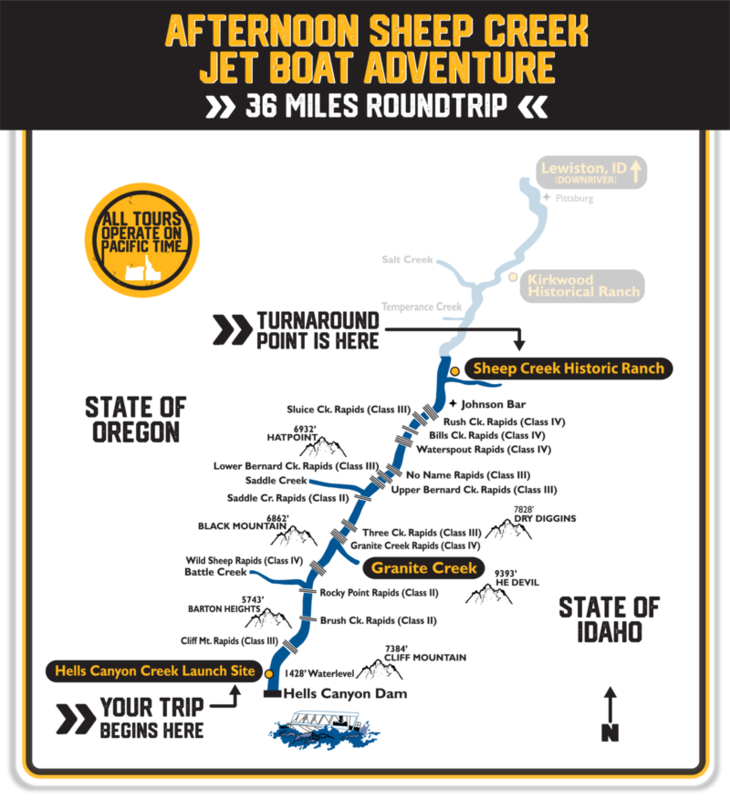 Enjoy a narrated trip down the biggest whitewater in Idaho with plenty of stops to explore nature and history. You can skip the sleeping bag on the ground during this trip — your adventure includes glamping at Sheep Creek Historical Ranch. Your stay at the ranch offers a breather during all the action: fish from the raft or banks of the Snake, play yard games, or take a nap in the sunshine. You’ll return after lunch on day two via jet boat, speeding through the territory you just covered.